Without a doubt, the landscapes of New Zealand are amongst the most exceptional on the planet and from fjords and glaciers to the undulating hillsides of Middle Earth, if you’re looking to get out and about in the great outdoors then this is certainly a good place to start. As you’d expect from Kiwi culture, preserving the lands that have long been inhabited by Maoris and all manner of bird and animal life is pretty much what they do best and if you’re looking to find out more about the natural and wild world of New Zealand then visiting a national park should definitely be top of your things to do list. 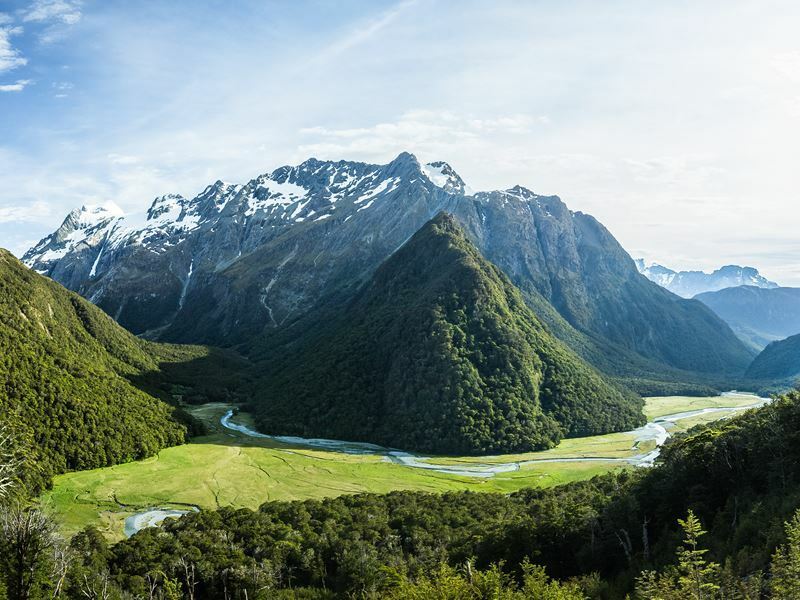 In total there are 14 national parks spread across the North and the South Islands of NZ and if you’re wondering which would best suit you then check out our top 10 national parks in New Zealand list below and dive right in. This is a relative newcomer to the New Zealand national park circuit and if you’re heading down through South Island keep going and about 20 miles of the south coast you’ll discover Stewart/Rakiura Island which is perfect if you’re looking to lie low for a few days. Thanks to its size, practically 650sq miles, there’s plenty of landscapes on NZ’s third largest island to keep you busy with mountains, valleys and a rugged coastline presenting the lion’s share of what you can hope to explore. Well-known for its propensity for precipitation, welly boots and rain macs are essential but if you do get a dry day then head for Mason Bay beach on the west coast and you won’t be disappointed. Weighing in at almost 5,000sq miles, Fjordland National Park is not only the largest in New Zealand but one of the largest preserved areas of land on the planet. 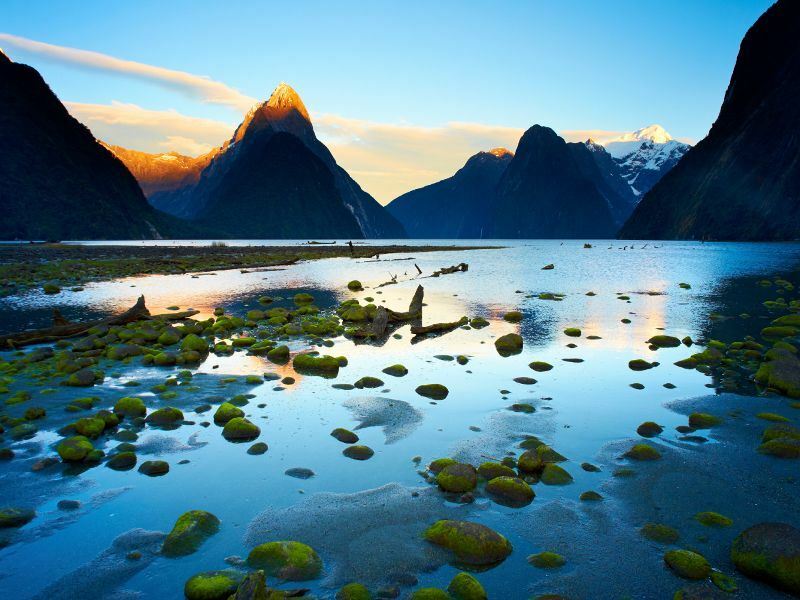 Located on South Island and featuring a vast stretch of steep coastline, this is a magnificent mix of mountains, fjords and offshore islands which also includes the legendary Milford Sound. From vast lakes and stunning waterfalls to lush rain forests inhabited by no end of wildlife, Fjordland is a nature photographer’s dream destination and if you’re into your alpine hikes and climbs then welcome to paradise. 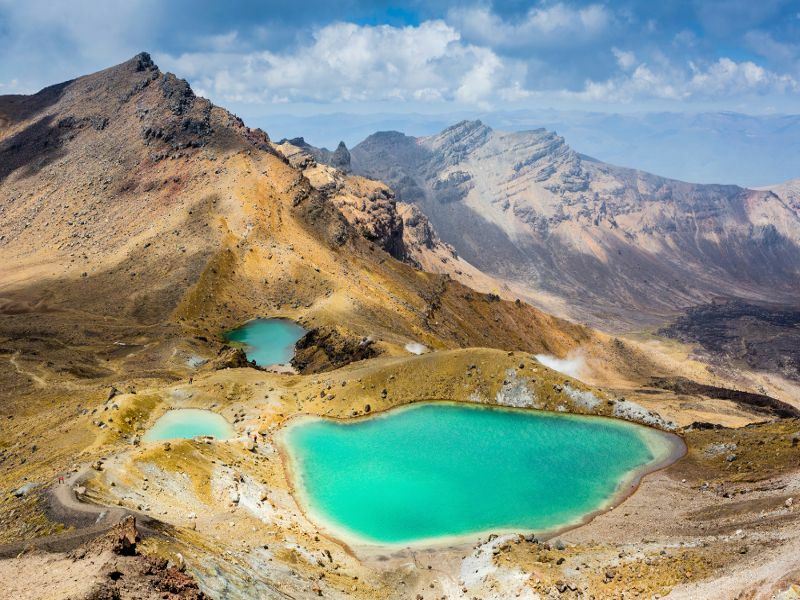 As NZ’s oldest national park, Tongariro is held in extremely high regard by the locals and has even been listed as a UNESCO World Heritage Site for its mix of cultural and natural importance. With boundaries stretching for over 300sq miles Tongariro is concentrated purely on the centre of North Island and if you’re looking for volcanoes, rivers and more than 50 different species of bird then this one is most certainly for you. Mountain biking, snowboarding and white-water-rafting are all par for the course and if you fancy a good old tramp then the Tongariro Alpine Crossing is just over 12 miles long and well-worth the effort. 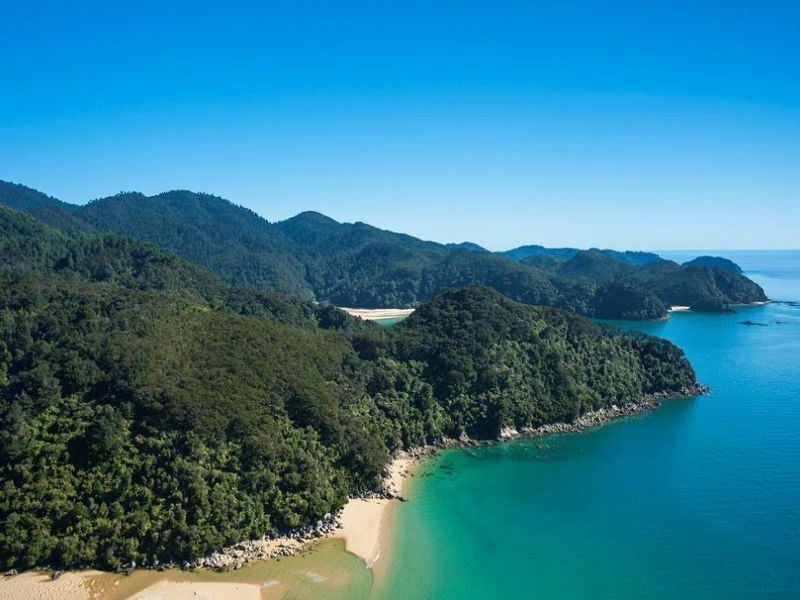 Located on the north of South Island just across the water from North Island, Abel Tasman may be the smallest of all of NZ’s national parks but it still punches well above its weight when it comes to natural beauty. This is all about exploring through thick forest covered hillsides as you follow the course of a meandering river as it makes its way through the valley and out into either Tasman Bay to the west or easterly and out of Golden Bay. Even though you’ll find just under 3sq miles of borders there’s still a fair bit to do and from swing bridges to beachside camping, Abel Tasman attracts fewer crowds and is well-worth a visit. 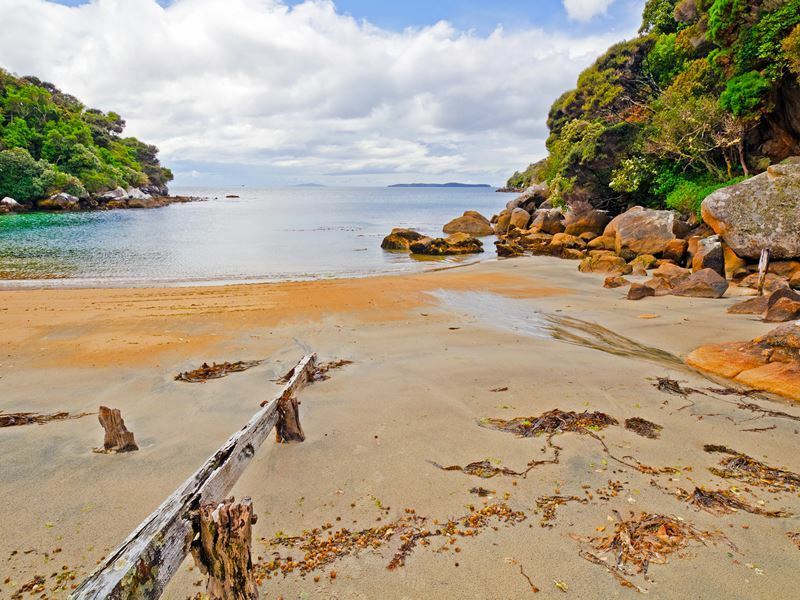 The westerly coastline of South Island is fondly regarded as one of the most scenic on the planet and if you’re fond of wild and wooly walks on the beach then Westland Tai Poutini has got more than its fair share. There was also once gold in them there hills and as such you’ll be able to explore a couple of deserted mining towns that lie along the coast. 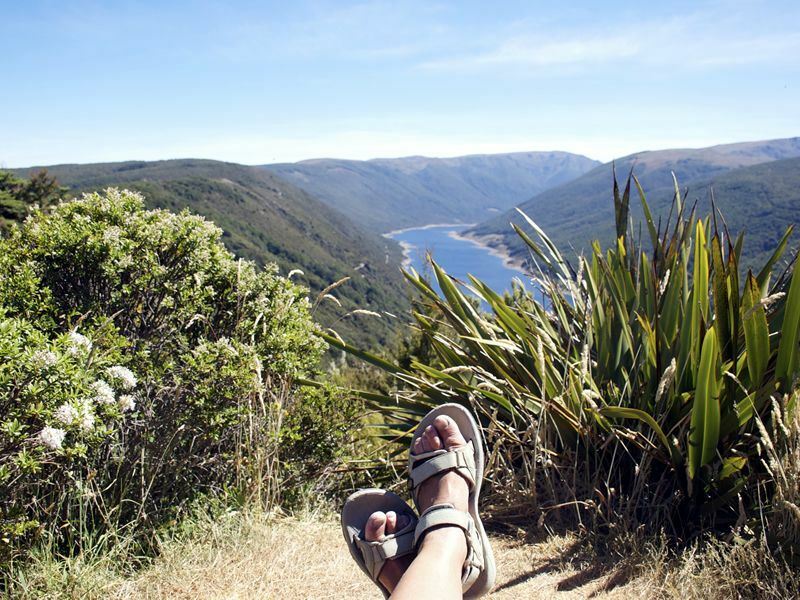 Glaciers, lakes and rainforest provide the main backdrop to most walking trails and if you fancy releasing your aches and pains then check out the Welcome Flat hot springs that can be found at the end of the Copland Track. 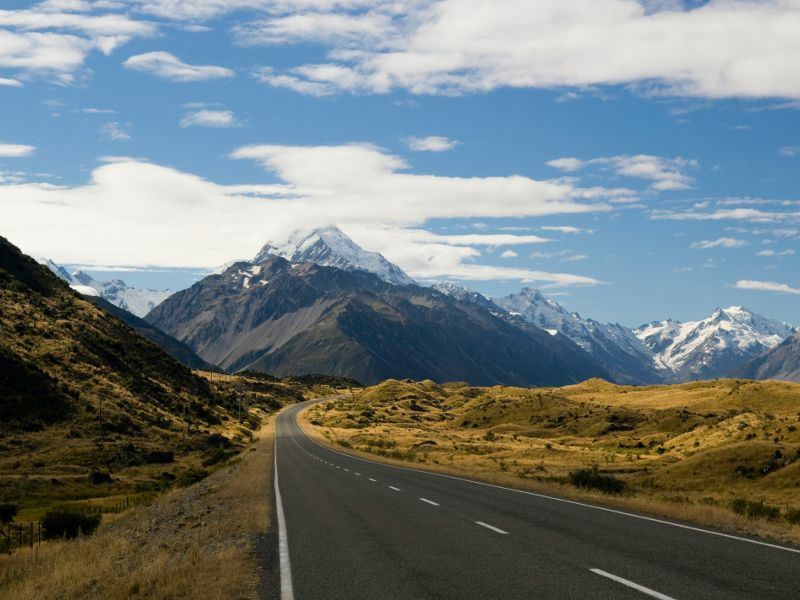 As New Zealand’s highest peak, Mount Cook towers over central South Island culminating in over 12,000 feet of pure rock. 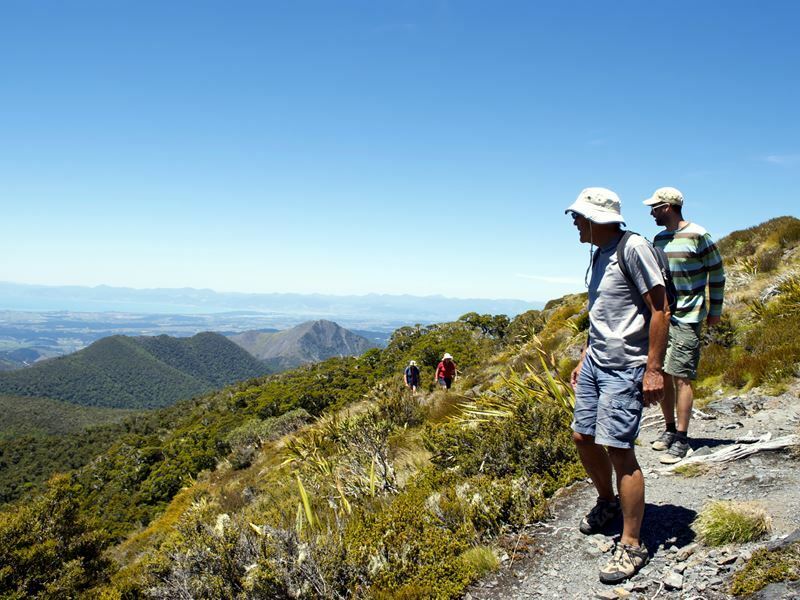 The park itself is around 270sq miles and also incorporates practically all of NZ’s other high-altitude peaks that can be found around the 10,000 feet mark. With some exceptional glaciers (namely the Tasman) Mt Cook National Park is an awesome option for climbers as well as skiiers and offers as much fun in the summer months as it does in the winter. With over 400 different types of plants including wild lupins, cherries and pines this is an absolute gem of a spot for walkers so make sure you pay your respects if you’re up for a good old tramp. Another South Island park that can be found in between Fjordland and Mt Cook is Mount Aspiring which does exactly what it says on the tin and then some. Weighing in at an impressive 1,372sq miles in area, this is certainly worth exploring if you’re hoping to get away from it all and from Lake Wanaka to examples of endemic plant life, there’s ever reason why the park is considered to be part of the Maori pounama (greenstone) world heritage site. If you fancy delving a little deeper into Mount Aspiring there are some excellent trails with the Gillespie Pass and the Routeburn Trail providing just 2 of many popular walking routes. Swinging back over to North Island allows you to get up close and personal to an active, yet chilled out, volcano which once provided the setting to the Tom Cruise film The Last Samurai. 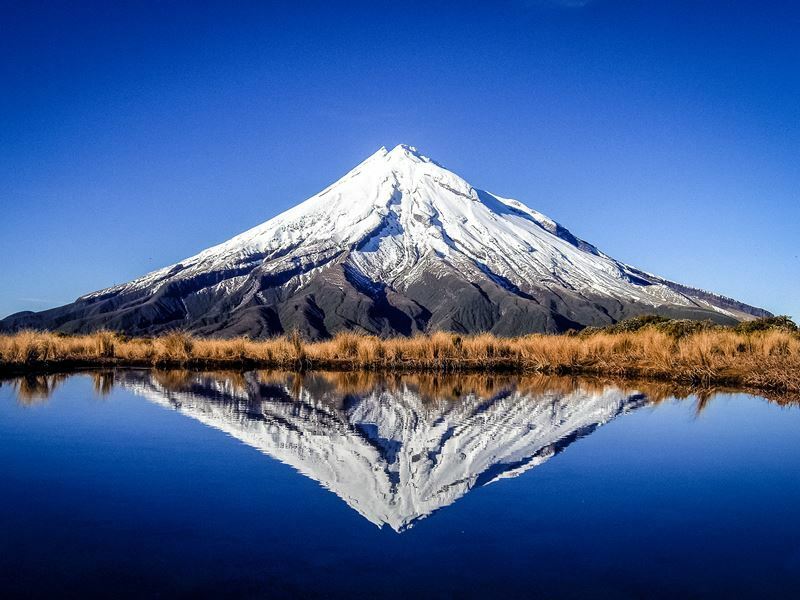 Mount Taranaki totally dominates Egmont National Park and thanks to the fertile slopes and the more than average annual rainfall you can expect to find some extremely lush green mountain foothills that are ideal for exploring if you don’t mind getting wet. At almost 130sq miles in size this isn’t the biggest park in NZ however, if you’re into your day hikes then Taranaki is totally doable although raincoats are advisable no matter what the time of year. 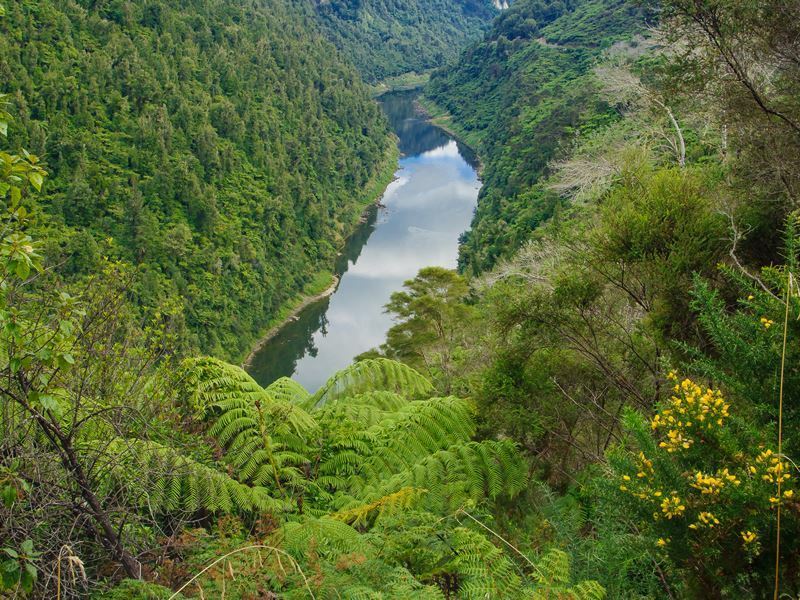 Just to the east of Egmont lies Whanganui which features the mighty Whanganui River which has got fun and adventure running through it with the same amount of enthusiasm as the current. The park itself is sized at almost 300sq miles and also features numerous forests as well as some of the best opportunities to see brown Kiwis that have protected status within Whanganui’s North Island boundaries. Meanwhile, back at the river, you’ll find no end of options to get wet and wild with rafting, kayaking and canoeing all complementing no end of tramping ground on the river banks and within the forest. 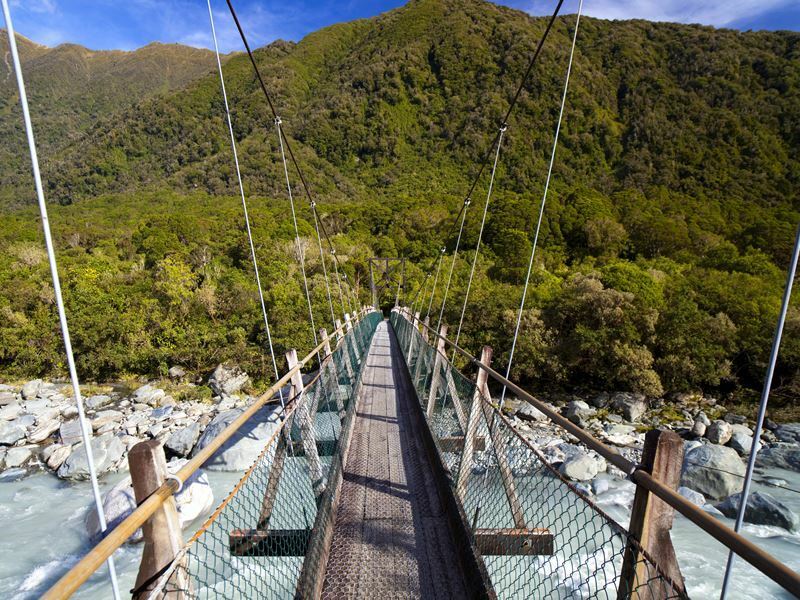 Our final New Zealand national park that you simply must visit is located on the northeasterly tip of South Island and is the second-largest in the whole of NZ. Kahurangi consists of just over 1,700sq miles and features the headland known as Kahurangi Point which is regarded as the natural boundary where the West Coast region meets the Tasman equivalent. At present the park is undertaking several conservation initiatives and although hiking, mountain biking and rafting are all possible the jury is still out with regards to the effects on the local flora and fauna so tread carefully especially on the Heaphy Track which is considered to be one of the best in the whole of NZ.